Laser speed and length sensors are intended for industrial application in metallurgy, cable production, textile fabrics etc. Measuring principle – Laser Doppler interferometry (reflected type) for direct speed measurement and length calculation based on speed integration. Precision speed and length measurements of finite or infinite moving objects relative to fixed sensor. The main purpose of the Sensor is high precision measurement of speed and traveling distance of the vehicle relative to ground (automotive and railroad application) and speed and length of objects moved relative to the sensor (industrial application). Measuring principle – raster spatial filtration of an object image, technology is patent pending. 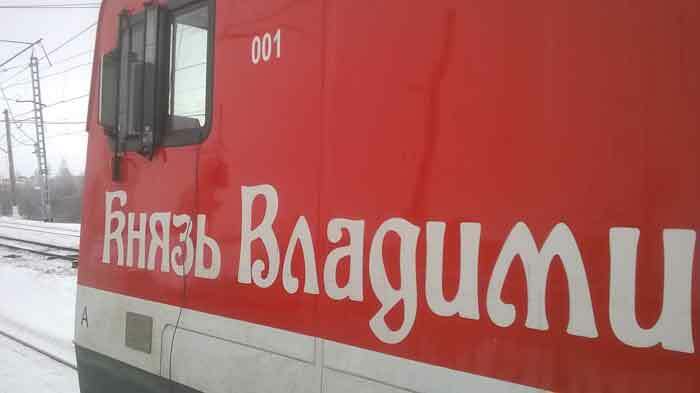 Sensor was mounted on front part of electric locomotive ( see pictures) to measure its dynamic parameters. Place: Train Shcherbinsky polygon, Moscow region. Weather: -12 Cº, windy, no snowing / falling snow. Connection of a cable to the sensor ISD-3. The optical ISD-3 sensor is installed on the locomotive. Sensor: the distance to the ground ab. 60 cm (± 20 – 25 cm tolerance), measurement frequency 24,6 Hz. In a cabin of locomotive. Measurements in progress. No snowing in the first half of the day. Typical speed chart. No snowing. Second half of a day. Rather hard snowfall. At standstill, due to drifting snow some snowflakes crosses sensor area of view and generate signals. But at moving, the signal from bulk surface is much more and no influences of snowflakes anymore. Maximum speed test. At high speed a lot of fluffy snow arise from ground and generated some extra noises, but real mean speed still can be measured. Driving at a constant speed, the snowstorm. Test - Scherbinsky experimental ring. 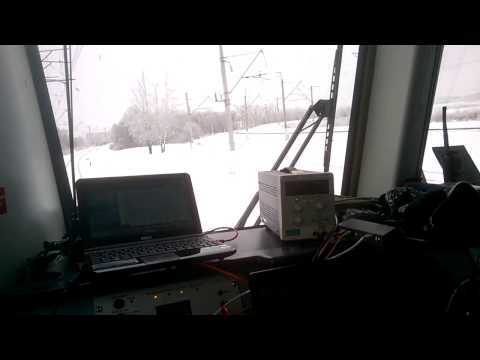 ISD-3 test on railroad - snowstorm.